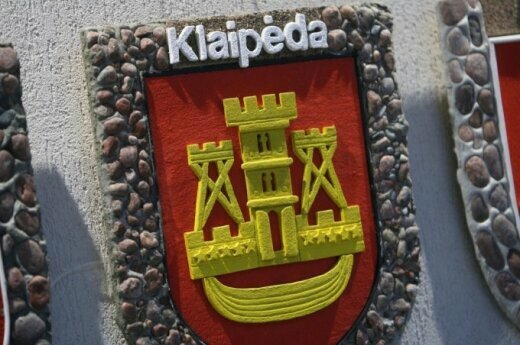 In the council of Klaipėda, the five parties, including Russian Alliance from Waldemar Tomaszewski’s Bloc, signed an agreement on the foundation of the ruling coalition. “I am convinced in the stability, endurance and determination to constructive work in the new ruling coalition for the next four years” – said Klaipėda’s new mayor, Liberal Vytautas Grubliauskas. According to the coalition agreement, the Liberals will be granted with position of the administrative director and two vice-ministers, whereas the positions of deputy heads of the administrative director will be filled by the Liberals and Russian Alliance. In the local government election, the Liberals received 12 mandates, Electoral Action of Poles in Lithuania and Russian Alliance 4, the Social Democrats 3, Order and Justice and the social electoral committee “Klaipėda” 2. Those who did not manage to enter the coalition include 4 Conservatives, 3 representatives of the social electoral committee „Puteikis plius” and one representative from Russian Lithuanian Union. Russian Alliance was running in the local election in the coalition with Electoral Action of Poles in Lithuania under the name “Waldemar Tomaszewski’s Bloc”; however, as a result of ranking system, the council will be joined only by the representatives of Russian Alliance. Tłumaczenie by Bruno Janiszewski	w ramach praktyk w Europejskiej Fundacji Praw Człowieka, www.efhr.eu. Translated by Bruno Janiszewski	within the framework of a traineeship programme of the European Foundation of Human Rights, www.efhr.eu.